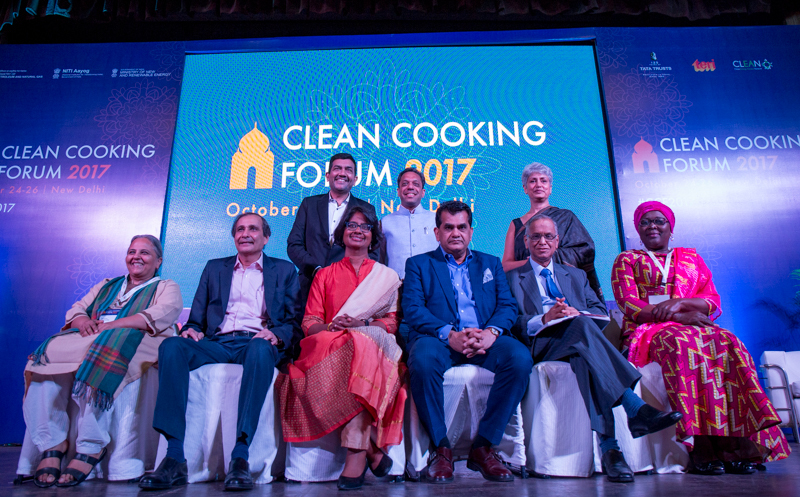 It was an inspiring first day at the Clean Cooking Forum 2017! 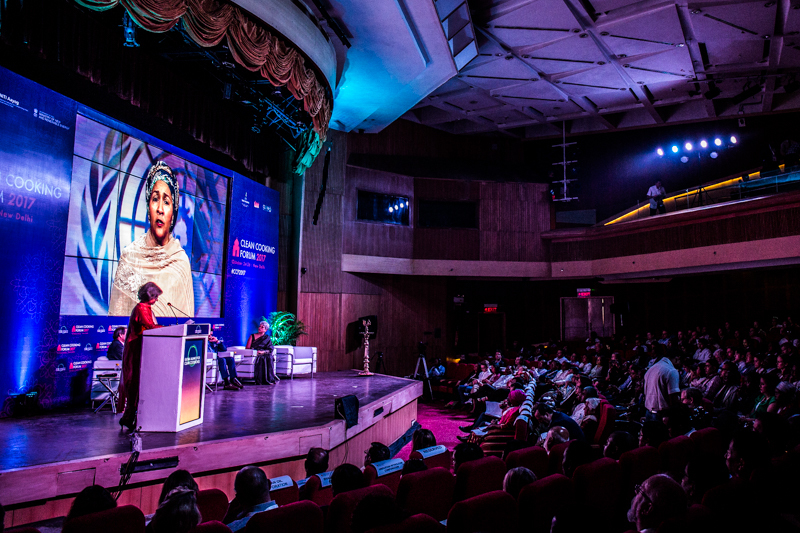 The opening plenary featured distinguished speakers such as Amitabh Kant (NITI Aayog), Minister Hajia Alima Mahama (Ghana), Dr. Yasmin Ali Haque (UNICEF), Narayana Murthy (Infosys), and many others. The day continued with engaging breakout sessions focused on driving demand, improving air quality, and learning lessons from women CEOs. Below are some additional highlights of the day. The Opening Plenary speakers. BACK (L-R): Sanjeev Kapoor, Arunabha Ghosh, Dr. Yasmin Ali Haque. FRONT (L-R): Reema Nanavaty, Burzis Taraporevala, Radha Muthiah, Amitabh Kant, N. R. Narayana Murthy, Hajia Alima Mahama. The clean cooking sector has seen substantial growth over the years, but today’s plenary speakers acknowledged that there is still a long way to go in scaling the market and reaching universal adoption. Large-scale government programs are a step in the right direction, but they must be aligned with support for markets to be truly sustainable. The sector must strengthen its focus on energy access in humanitarian settings as well as in households, and we must engage young people to ensure continued growth and sustainability. We must drive innovation in cooking areas to find clean cooking solutions, and we must include women in the process of designing products. If a country like India has to redeem the dream of Mahatma Gandhi, we have to work on health, education, nutrition, and clean energy; these are the four most important initiatives. We’ve come a long way. Our approach is working. 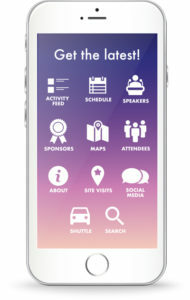 The issue is gaining recognition and traction. Let’s put our feet on the accelerator to drive this sector and market forward. 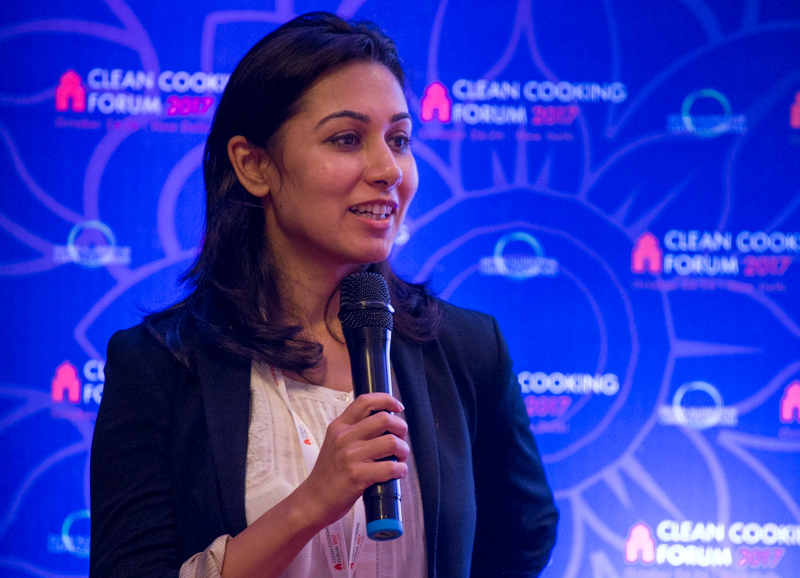 Creating demand for clean cooking products at scale is a longstanding challenge within the sector. How can companies in the fast-moving goods sector turn their products into household names? How can these approaches drive demand for cleaner, more efficient cooking technologies and fuels? The need for aspirational products and non-commercial channels will be critical components in reaching customers. Solutions will ultimately need to focus on the needs of local communities while still being flexible in design in order to scale upwards. If all of us can actually succeed in the next 3-5 years to take it to a commercialized level with the right scale and right technology…we will be impacting millions of people. Advertising never changes behavior, it just changes your perception of the thing. Which will lead to behavior change in the long term. In many parts of the world, household energy consumption accounts for up to 30% of ambient air pollution. Reducing emissions from household air pollution (HAP) would foster improved ambient air quality, positive implications for health, and climate co-benefits. When it comes to influencing policy to address HAP exposure, it is useful to bring the government in as a partner, or use or advocate for research that interests the government. In India, an increasing number of districts are passing PM2.5 standard for both India and WHO. From 2011-2016 there was a 50% increase in energy from LPG in the cooking sector, and in India, there was a 20% drop in biomass used for cooking. Progress has been made, but we need to do more. At WHO we certainly feel strongly that it’s very important to address both household and ambient air pollution in order to truly make a difference in overall air quality and health. Air quality has always been a domain of scientists so it’s usually restricted to a scientific community, there is also really good research that can be used by the government…What is required is that we need some forums to get the two talking to each other…more than research, the cities want action. Neha Juneja, the co-founder & CEO of Greenway Appliances, speaks about her experience as a female CEO. This session featured women CEOs, their experiences in the energy and clean cooking sectors, and their work to provide access to consumers in hard-to-reach-markets with women micro-entrepreneurs. It is critical to encourage women to use their experiences as energy and social entrepreneurs to become more visible leaders in their society. Those seeking to empower women in the sector must look beyond the technical and scientific research and focus on what women really need in clean cooking solutions. Cooking was the eureka moment for us. Girls can focus on their homework and school rather than having to look for firewood all the time. 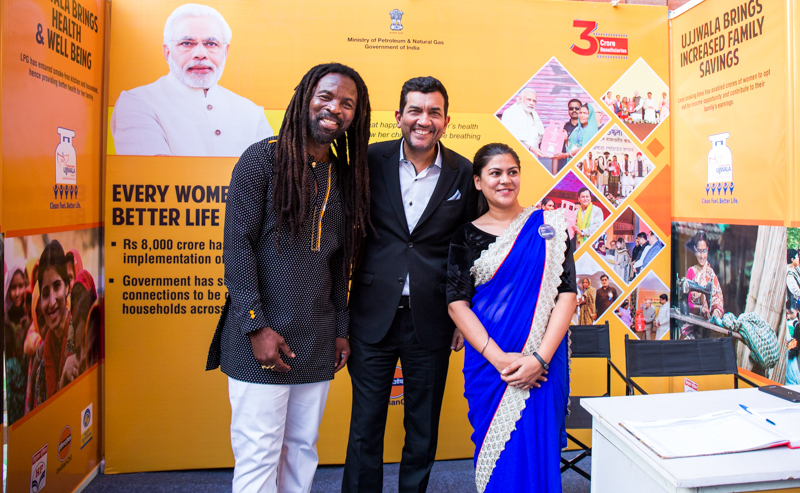 Grammy-nominated musician Rocky Dawuni and Chef Sanjeev Kapoor at the PMUY booth at the cookstoves and fuels exhibition. Day 1 concluded with the cookstoves and fuels exhibition, where 30 organizations from 15 countries working in the clean cooking sector displayed a variety of stoves, fuels, and other innovative technologies.